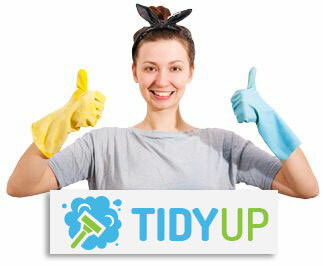 End Of Tenancy Cleaning Service in London ~ Up to 40% Off! If you are in the process of moving out of your property or perhaps you are the landlord of a property who wants to have their property cleaned up before the new tenants or owners move in then our end of tenancy cleaning services are just the thing you need. Our high quality end of tenancy cleans will guarantee that your property will be left in spick and span condition for when the new property tenants or owners move in. Our great value, professional end of tenancy cleaning services are also the perfect option also to anybody who is moving in to a new property and would like to be sure that the property will be in perfect condition and ultra clean upon their arrival on moving day. Nothing is better when you leave your property or move in to a new one that having a professional company such as Tidy Up thoroughly clean your property from top to bottom to ensure that all traces of you, pets or former property owners have been properly erased from the residence. If this is something that you are looking for then we are the company that can provide you with exactly what you have been looking for. Our prices are incredibly low and very reasonable and if you don’t believe us or would like more information on out top quality end of tenancy cleans then why not give us a call today on 020 3397 4918. End of tenancy cleans are often something that comes about after tenants move out of a rented property, the former owners of a property move out of their former domestic or commercial property and can also be arranged by people who are planning to move in to a new property. Nothing does the job of cleaning any type of property and its upholsteries and furniture items inside better than a professional end of tenancy cleaning company. Due to the fact that our clients usually hire us to handle their end of tenancy cleans during the moving process, we like to make our overall package more convenient and manageable for all of our customers. There is a lot to think about when you are relocating out of one property and in to a new place, which is why it makes even more sense to hire a professional team, like ours, for the mammoth task of thoroughly cleaning every inch of your new or former property. If you are a landlord who wants to look good in front of your property tenants and would like to keep up your good reputation of being an excellent and professional landlord then we would highly recommend that you book an end of tenancy cleaning with our team of cleaning specialists. If you have recently purchased a new commercial or domestic property and would like to make sure that it all clean and tidy for when you move all of your items in to it then our company and our fantastic services are the answer for you! No other company, machine, piece of equipment or individual can get such high quality results from a clean like we can here at Tidy Up so get it on the action now and call us today on 020 3397 4918.